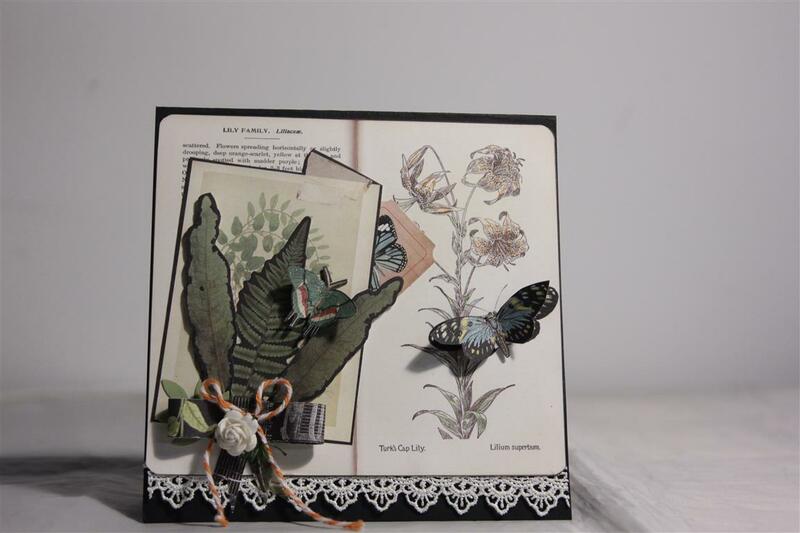 Here are the last two cards I have made with prima Forever Green paper collection.Bottom card – extras include some lace and prima flower,bakers twine and a bow that I made with the identity strip that runs along the bottom of the 12 x 12 papers. I showed my ladies in a class how to use this piece of paper that we all cut off and sometimes use as border strips, and I must find time to do a bit of a you tube clip to show you all – will organise that when I am on holidays in a couple of weeks. 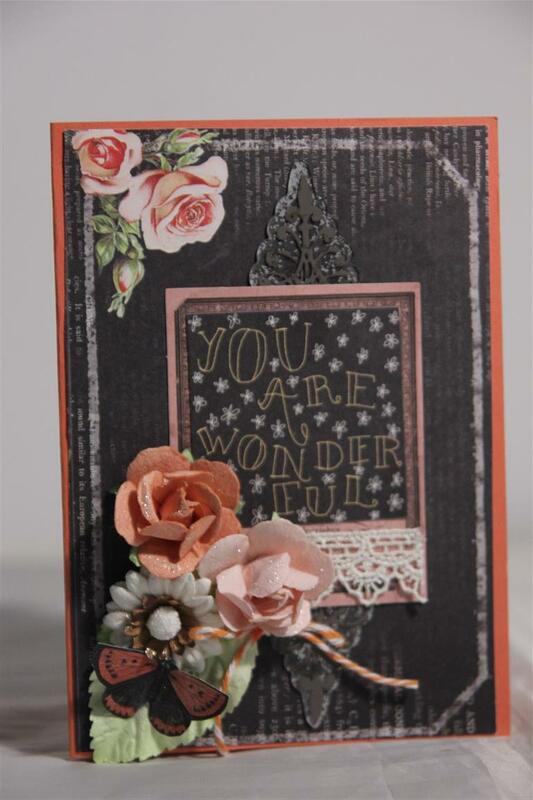 The top card has as extras a string of pearls, stampin up ruffled ribbon a flower, wink of stella brush on parts of the images, and some fussy cutting! 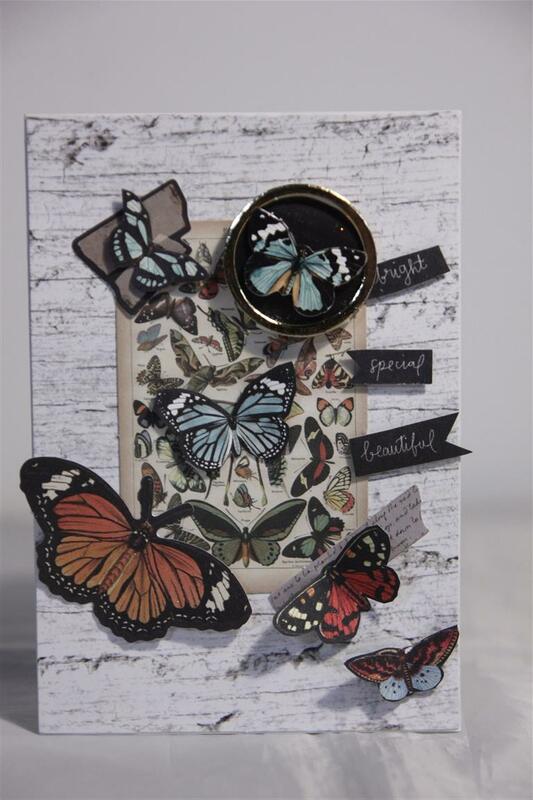 I have so enjoyed making cards with this paper because I was able to use so many different colours, and styles. Favourite paper so far this year! No crafting this weekend as i am battling with tennis elbow. Hopefully it gets better soojn cos I am missing my craft room! 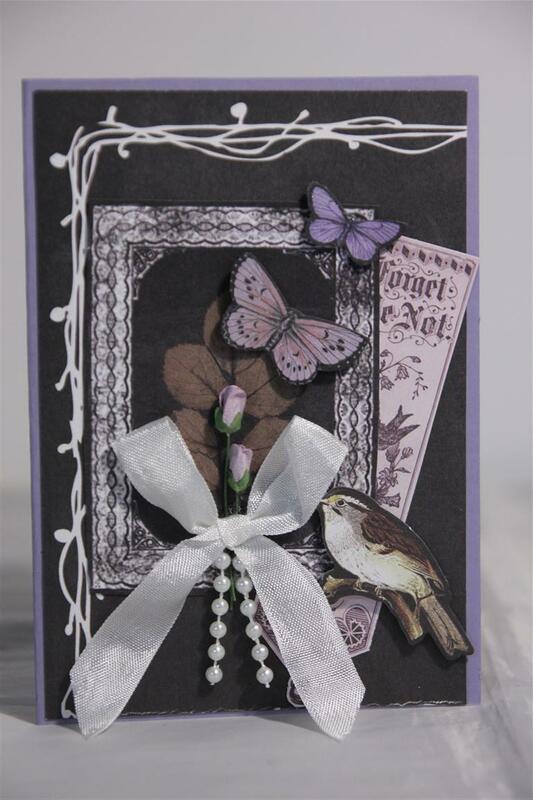 Til tomorrow…..
card 1. card 2. close up of card 2. Quite a long post today, to explain what I did to these cards! 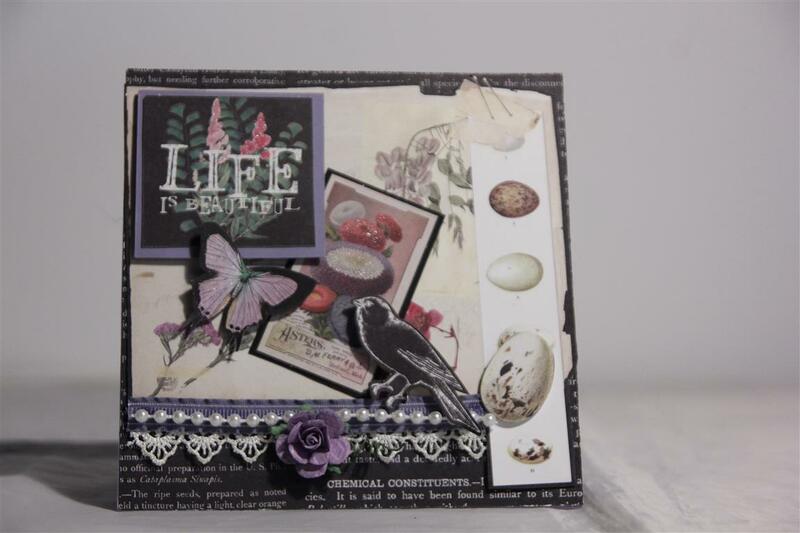 These two are my favourite cards using Prima Forever green collection, mainly because I made such a mess experimenting! From the top. card 1. 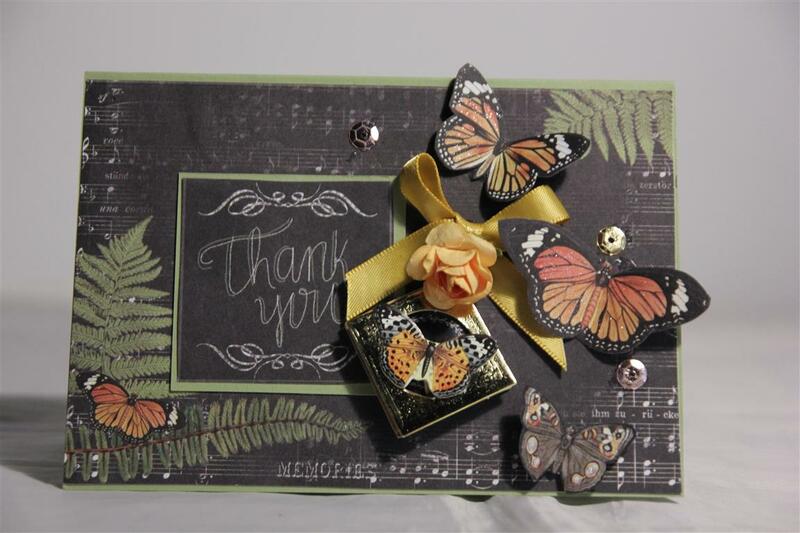 I used retired stampin up stamps for the background text, green foilage and sentiment and used a Prima 3d die cut and fussy cut butterfly as a focus. a scrap of ribbon and lace to finish. 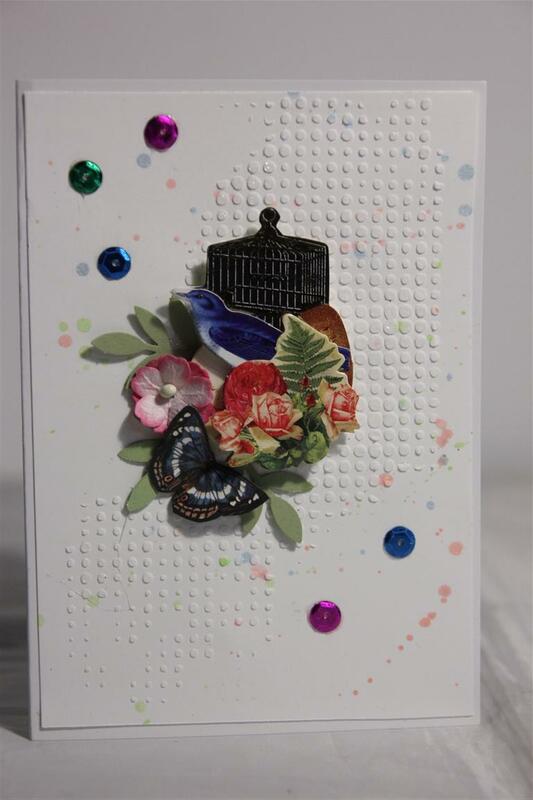 Card 2.I used white cardstock and sprayed a couple of colours of fireworks onto it and then used a stencil and light texture paste. 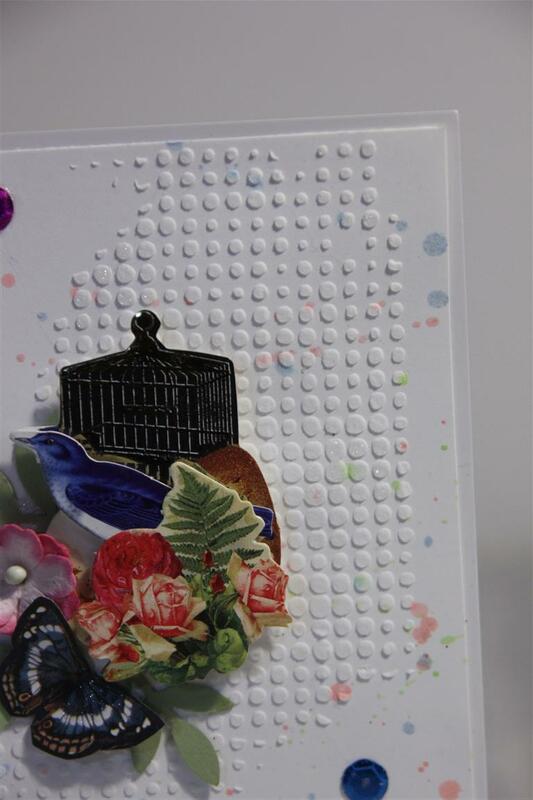 You have to wait a little while to let the paste dry, then to continue.. a touch of Wink of Stella on some of the dried texture paste for a bit of a gleam, random sequins, a prima forever green die cut and some punched greenery. In the close up you can see the glitter of the wink of stella brush. I enjoyed this technique and will try it on some special christmas cards when I get half a minute to myself! til tomorrow….. 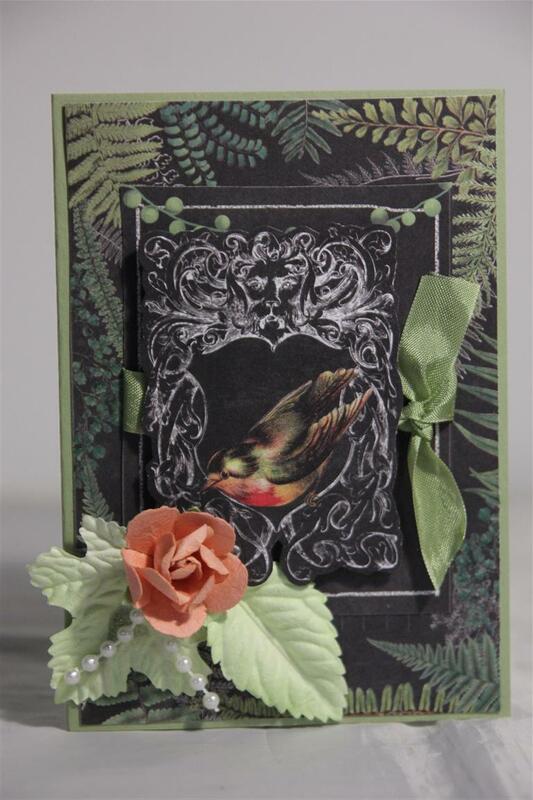 I feel like I have been posting cards made with this collection ( prima Forever green) for ever! but we will keep going because we are nearly finished, and the cards i managed to make out of this collection are all quite varied and there are a couple coming up that are my absolute favourites!.these two meanwhile use the usual variety of ribbon, flowers and even sequins, and the bottom card has a die cut fairy which I did using a spellbinders die, and I used my wink of stella brush to highlight the wings with a little blingy sheen.The cardstock is as usual stampin up.day off today, so I am off into the card room to get a head start on some orders. til tomorrow…. Early post this morning before work! 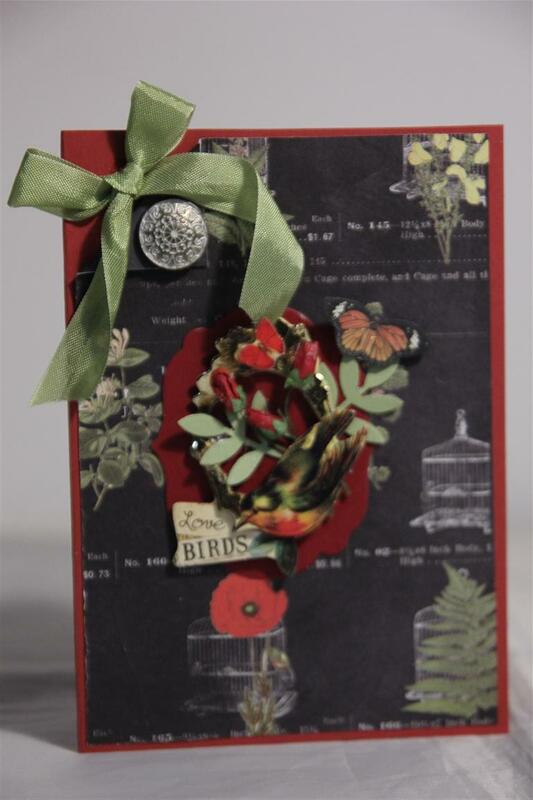 Prima forever green paper collection,with some stampin up cardstock and seam binding, and on the bottom card some kaisercraft mini flowers mixed in with the prima flowers and lace.What I love about this paper is the different colour combinations I can use with it.Til tomorrow…. 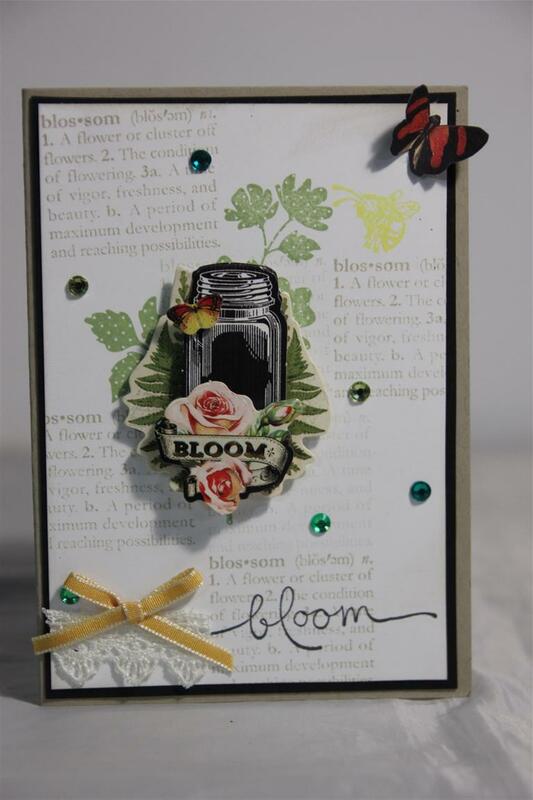 Another two cards in my Prima Forever Green collection. 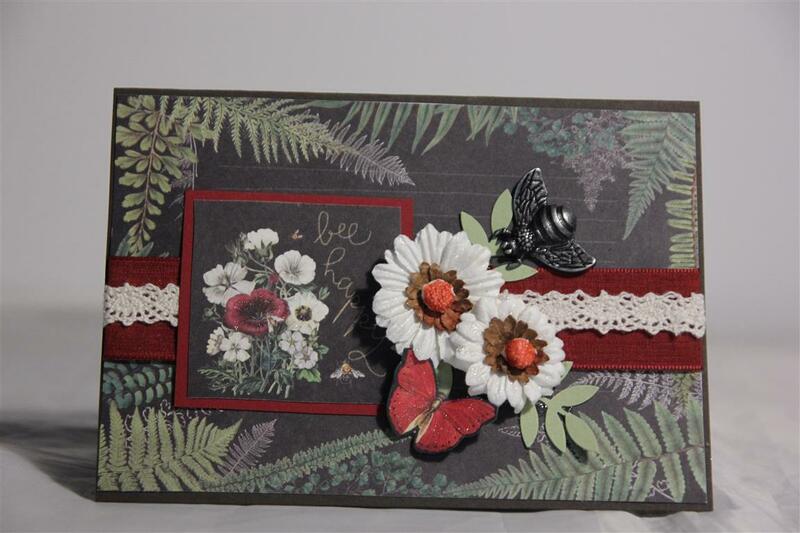 Again everything used is by Prima, except for the cardstock and seam binding which are from Stampin Up. 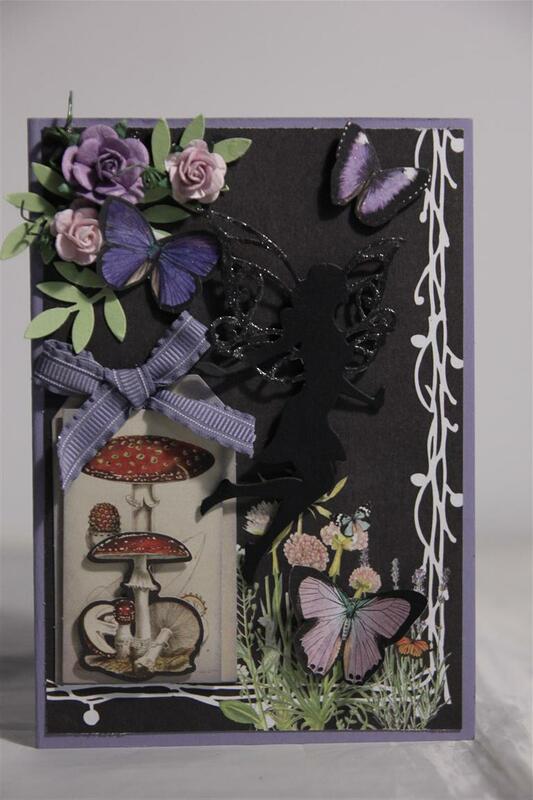 The background on the bottom card is actually from the packaging some of the Prima bits and pieces came from – it was too perfect to throw away!My goal for tonight is to reshelves all my books which are in a pile on the floor at the moment, so must get a move on before it gets too late! til tomorrow…. 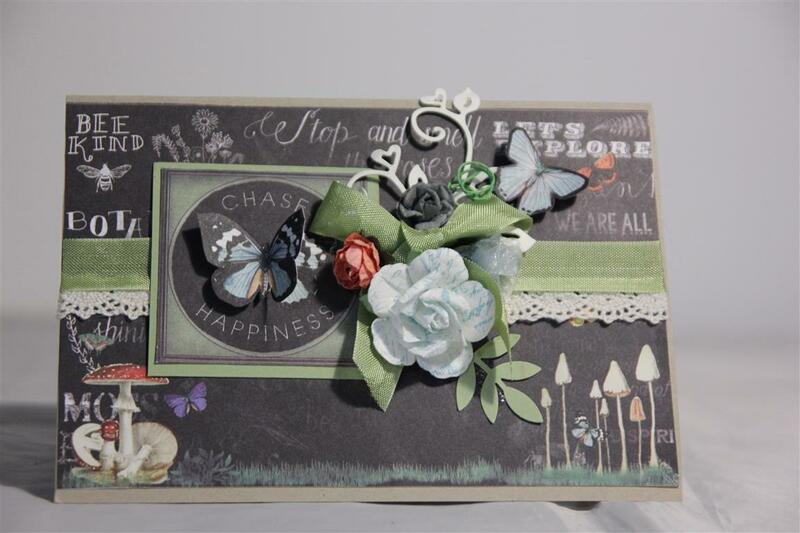 I have taken a break from the spring cleaning to post the next two cards in my Prima Forever Green series.Everything used is from the collection with the exception of the ribbons,brad and cardstock and that is from Stampin Up.I love the extra bits and pieces that came out with this collection! Til tomorrow….